The NEW Elite Double Bow Case from Legend is exactly what you would expect from Elite and Legend. Bring two bows everywhere you go! True to Legend's manufacturing, the interior of this back includes thick foam that you need to protect your gear. You also get stiff panels for added durability. The structure delivers the strength and durability you need to be confident in this case for years to come. Super strong nylon throughout means that this case will take all the abuse you can dish out. Oversized zippers on every pocket. The front pockets give you plenty of room for your arrow tubes and more. The inside mesh pocket keeps your releases, rangefinder, and more safe and dry. 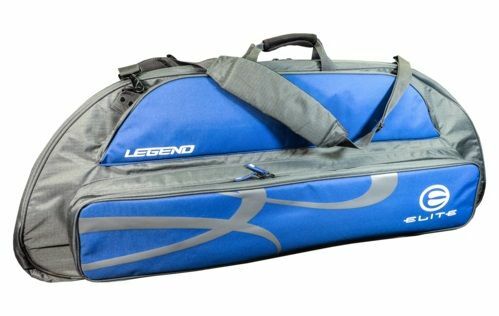 Features a carrying handle and a strong, comfortable shoulder strap.